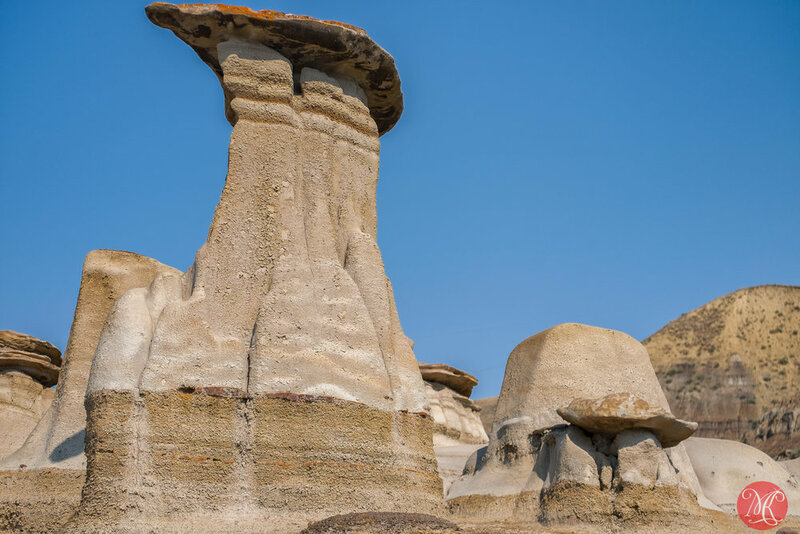 Last day of our summer trip to Southern Alberta we have started in Drumheller, where we stopped to visit the Hoodoos. As early as we went, there were already quite a lot of visitors climbing the rocks and wondering about. It is a very interesting place, with an unusual landscape. It reminds me of The Flinstones, which isn't that strange considering that Badlands are famous for discovery of numerous dinosaur fossils (including the famous, around here, albertosaurus). We have visited Drumheller so many times through the years, that one would think, I wouldn't need to take anymore pictures. However, I always end up admiring the intricate designs of rock formations. They are, quite simply, fascinating and, it seems, I can't help myself ;D.